Specialty Applicators are useful where others are not. Pipe painters for instance excel at speeding up production on linear surfaces. Pad paintiers are good for large, flat, smooth surfaces. There are a number of these to choose from when you have awkward shapes and surfaces to cover. Take a look at this video from Wooster showing their PIPE PAINTER in action. FB-1 1" FOAM BRUSH 0.39 / EA Ready to Go! FB-2 2" FOAM BRUSH 0.50 / EA Ready to Go! FB-3 3" FOAM BRUSH 0.65 / EA Ready to Go! ME00587 3" SMALL AREA ROLLER & TRAY KIT 4.58 / EA Ready to Go! DY01757 3" TRIM ROLLER AND TRAY SET 2.84 / EA Ready to Go! PU94540 REFILL ROLLER 94580 PIPE PAINTER 12.08 / EA Ready to Go! FB-4 4" FOAM BRUSH 0.79 / EA Ready to Go! AP80080 A-P 2 WHEEL EDGE PAINTER 3.14 / EA Ready to Go! AP80439 A-P PAD BENDER PAINTER 2.10 / EA Ready to Go! AP80095 A-P PAINT TEST SET 1.63 / EA Ready to Go! BL95400 BAG O' WOOL LAMBSKIN PIECES IS 5.67 / EA Ready to Go! TR10301 CHEESECLOTH 2 SQ YDS 1.99 / EA Ready to Go! CB01249 LAMBSKIN PAINTER'S MITT 13.94 / EA Ready to Go! SL00200 PAINT EDGER PAD REFILL 2PK 3.39 / EA Ready to Go! SL01000 PAINT EDGER PRO 6.99 / EA Ready to Go! TR10901 PAINTER'S MITT I 3.71 / EA Ready to Go! CB00755 PALETIN APPLICATOR 1.78 / EA Ready to Go! WO17649 PIPE PAINTER 4.5" DUAL ROLLER 24.96 / EA Ready Now! PU94580 PIPE ROLLER COMPLETE D 30.33 / EA Ready to Go! 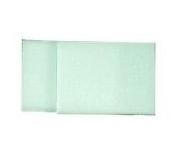 SL00630 SHUR-LINE 9" PAINT PAD REFILL 5.92 / EA Ready to Go! SL00745 SHUR-LINE 9" PREMIUM PAINT PAD 9.89 / EA Ready to Go! FO00088 WROUGHT IRON PAINTER 5.19 / EA Ready to Go! FO00089 WROUGHT IRON PAINTER REFILLS 3.64 / EA Ready to Go!